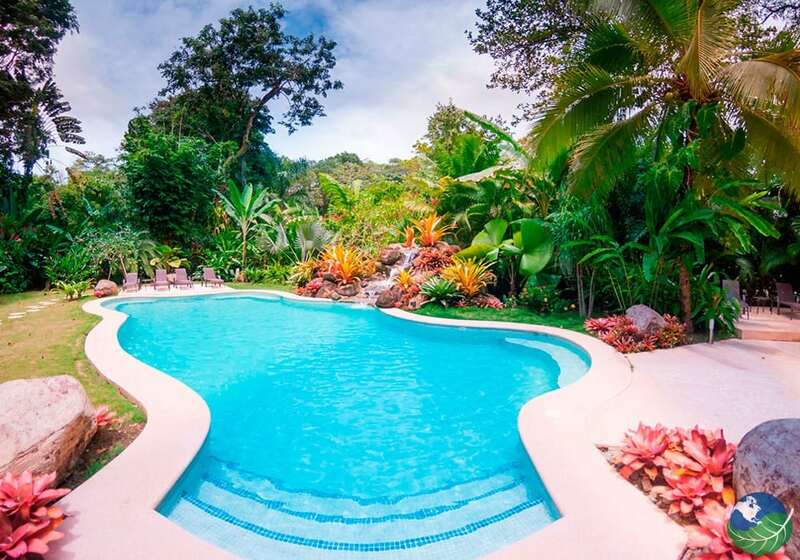 Shawandha Lodge is situated in Puerto Viejo Limon, on the beautiful Caribbean Coast of Costa Rica. 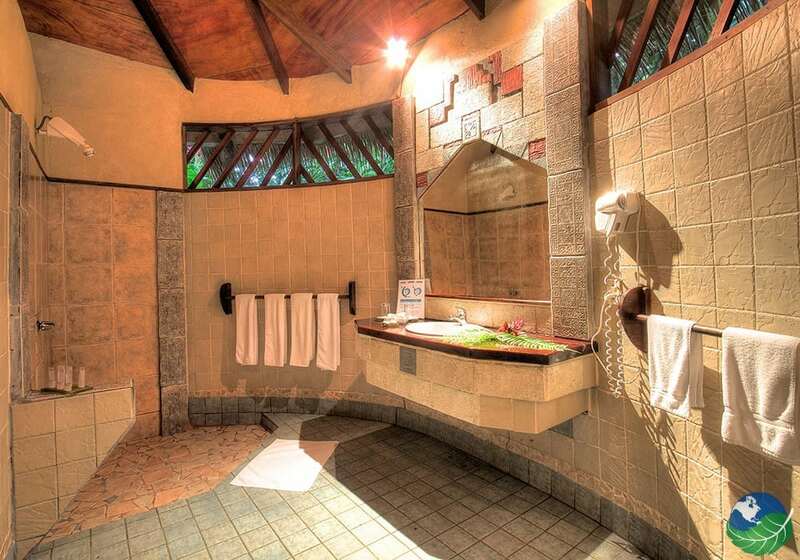 Surrounded by stunning nature, Shawanda Lodge is one of the best hotels in the area. It is a rustic and cozy lodge far from the noise and bothers of modern life. If you require air conditioning and satellite TV for your comfort, this may not be the place for you, because they don’t have or need either! 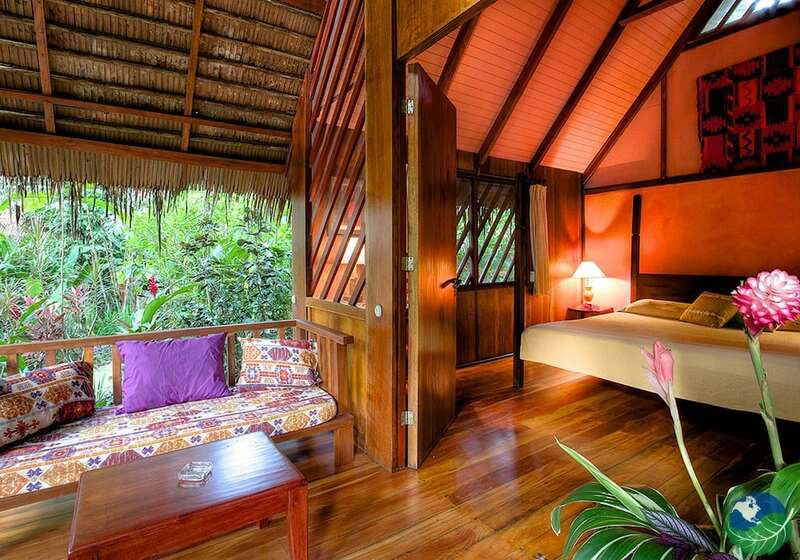 This eco lodge is six miles from Puerto Viejo on the Caribbean Sea and far away from the stress of city life. Puerto Viejo is a lovely Caribbean beach town. It sways gently to the beat of calypso and reggae and tastes of plantain, rice, and beans. 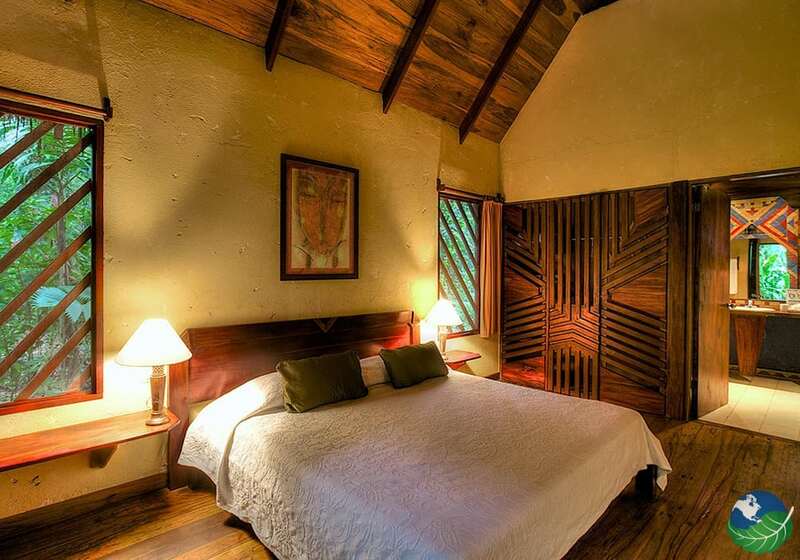 Here, the sounds and colors come from large jungle trees that shade Shawandha Lodge from the Costa Rican sun. You will be sharing your space with exotic jungle creatures in their natural habitat. Howler monkeys live up in the trees. They may be your natural alarm clock at the break of dawn. In your cabana screened windows, not glass, are all that separates you from the forest and all its wild denizens. 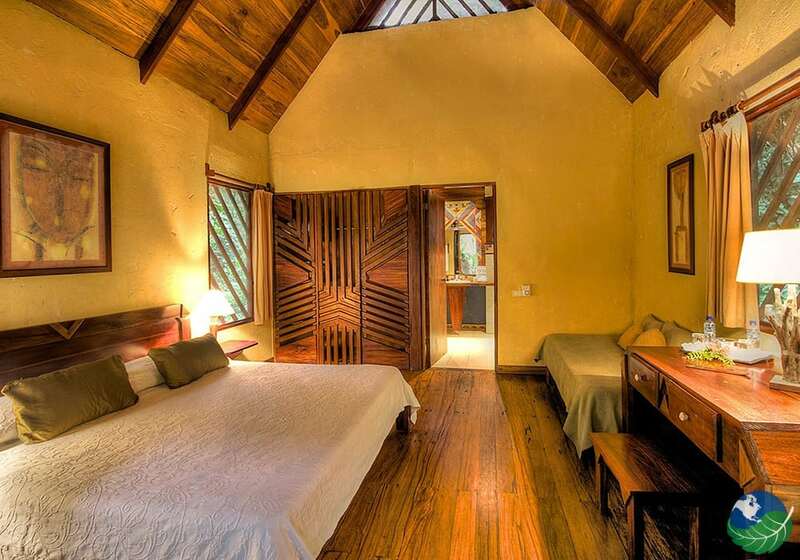 Shawandha Lodge has built 13 bungalows six miles away from Puerto Viejo. Within a wild backdrop where patrons are closer to their natural surroundings. The tall trees over Shawandha Lodge are full of wildlife; you’ll find yourself awoken by the loud dawn howler monkey cries and bird songs. It is a custom to spend the day here relaxing on a hammock. And making an inventory of all the animals that pass. 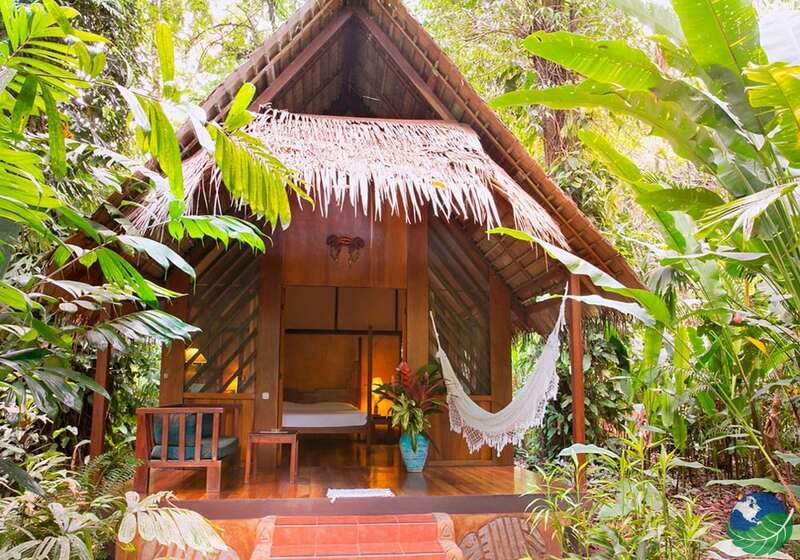 We invite you to spend the day at Shawandha Lodge Costa Rica resting on a porch hammock spotting birds and monkeys. Enjoy a tasty meal under the palmed roof of the open-air restaurant or sip a fruity cocktail. Tours include a zip line canopy tour, whitewater rafting, ATV, horseback riding or trips to Puerto Viejo. The staff will be happy to arrange for a National Park Tour or Wildlife Reserve jungle hike and a visit to a Bri Bri Indian Reserve. On your list of places to go in Costa Rica, the Caribbean Sea and Puerto Viejo with its friendly people and rich jungles should not be missed.